A feature documentary about a unique community transforming the lives of homeless people in Austin, TX. The biggest tech revolution of the 21st Century isn't digital, it's biological. A breakthrough called CRISPR has given us unprecedented control over the basic building blocks of life. It opens the door to curing diseases, reshaping the biosphere, and designing our own children. 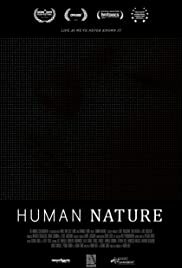 Human Nature is a provocative exploration of CRISPR's far-reaching implications, through the eyes of the scientists who discovered it, the families it's affecting, and the bioengineers who are testing its limits. How will this new power change our relationship with nature? What will it mean for human evolution? To begin to answer these questions we must look back billions of years and peer into an uncertain future.